During this step the wizard will check if your system fulfills the software requirements. 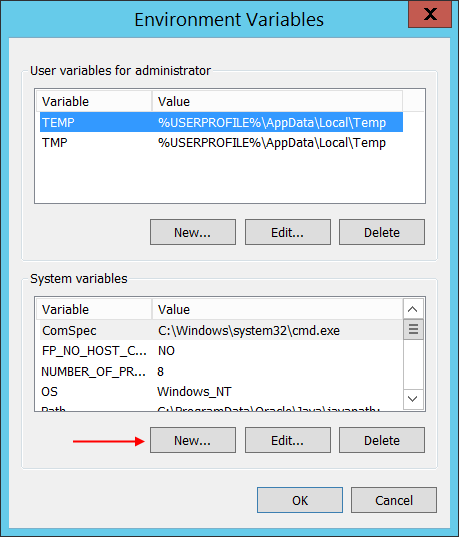 Some of the missing prerequisites will be installed directly from the wizard during the installation. To use Search service, the Java component has to be present on the computer (you can download the package from here). Extract the folder to C:\Program Files\Java. If the contentACCESS installation wizard does not detect a working Java Server JRE component, the installation process can’t continue. The JAVA_HOME variable must be set manually. 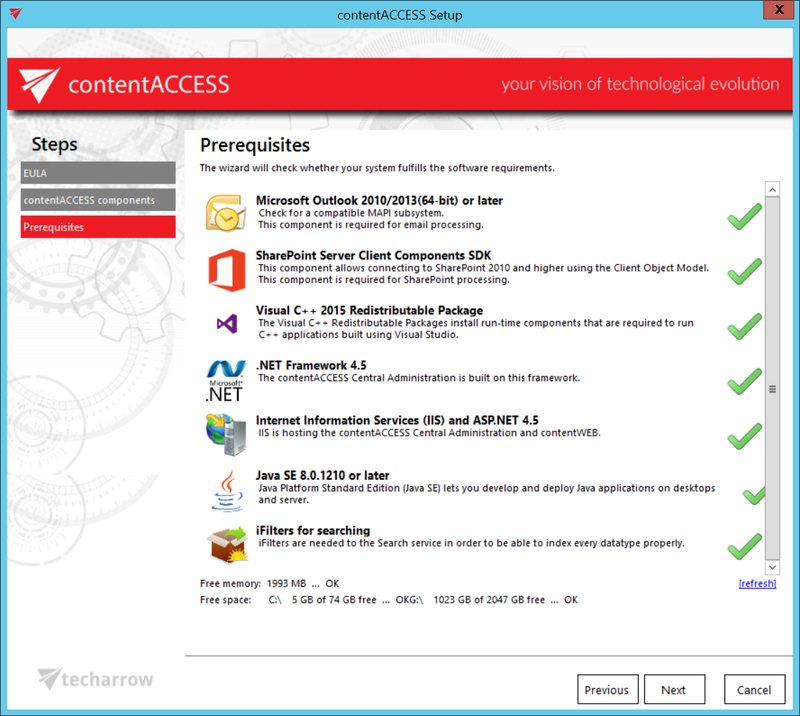 The contentACCESS instalation wizard may not detect an existing Server JRE component if it’s not correctly configured, or if the JAVA_HOME settings point to an earlier version than is required by Search service. If there is an earlier version of Server JRE than the minimum required by Search service and the JAVA_HOME variable is set to that version, it is recommended to install Search service on a separate server, because changing the value of the JAVA_HOME variable may cause other already installed applications to fail. 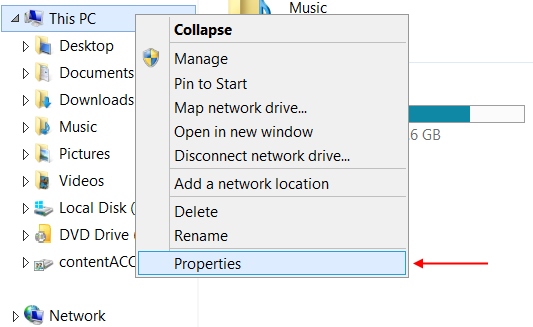 Right-click on This PC (or My computer) and select Properties. 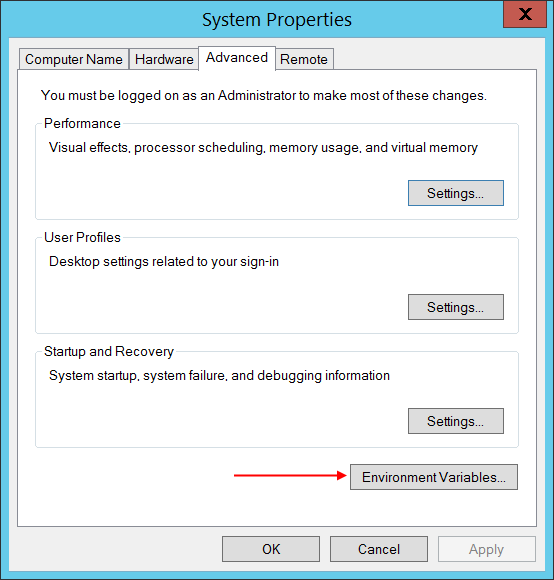 In the lower right corner click on Environment Variables. Click on the second New. Variable name is JAVA_HOME, variable value is the location where Java is unpacked. In our case the value is C:\Program Files\Java\jdk1.8.0_144\jre. Click OK. Note: For the Indexing job to work also for PDF files using the Adobe PDF iFilter, the Path environment variable for the PDF iFilter must be set manually. For more details, please see this FAQ section. Use the [refresh] button to actualize the prerequisite information after the missing software is installed. 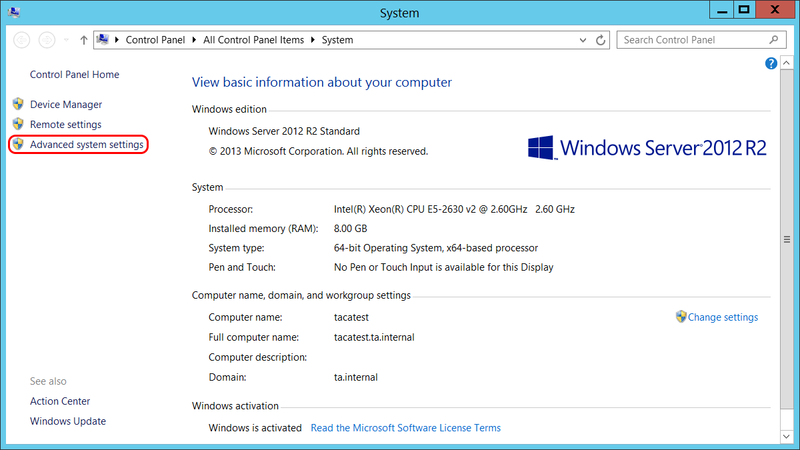 If it still doesn’t recognize the Java component, restart the PC and start the contentACCESS installation again. Once it is ready, the user can continue with the installation process. After the wizard has run the system requirements check, click NEXT. For more information about these requirements check the section above: Software requirements. Note: MS Outlook prerequisite will be checked only in case that the license supports email based plugins.